Camping Abruzzo - Looking for a campsite? Search here! The picturesque region of Abruzzo is situated in the heart of Italy just to the east of Rome. 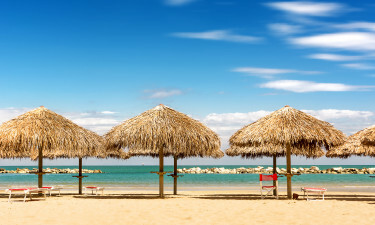 The region is blessed with year round sunshine and the large number of excellent luxury camping sites that can be found here make Abruzzo an excellent place to unwind in style. Why Will Visitors Enjoy a Camping Holiday in Abruzzo? 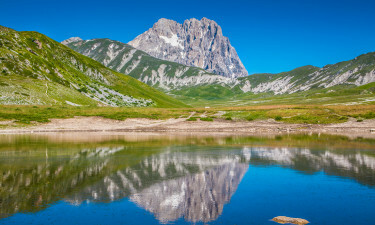 Abruzzo boasts richly varied scenery that is sure to delight nature lovers. While the eastern coast is marked by long stretches of golden sand, the interior of the region boasts dramatic mountains and valleys. People who book a mobile home in this part of Italy will be able to spend plenty of time getting to know the area in a range of different ways. This leading LUX-camp occupies a scenic spot on the shore of Lake Trasimeno and is the perfect place to unwind in style. People who rent a mobile home here will have the chance to take part in a wide range of different types of aquatic activities, while a vibrant entertainment programme is organised each evening at the site that is sure to appeal to guests of all ages. This popular luxury camping site offers guests a warm welcome and can be found in the very heart of Abruzzo. One of the things that makes Stork Camping Village so popular is the fact that it is nestled on the edge of a picturesque sandy beach, while guests return for the range of onsite amenities and friendly staff. The east coast is lined with many miles of beautiful sandy beaches as well as resort towns to use as a base while exploring the area. 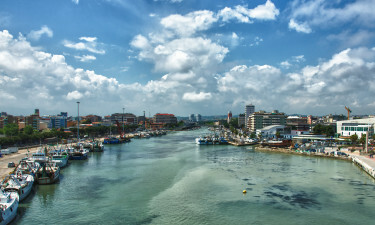 The beaches on the edge of Pescara are particularly enchanting and this town also features pretty pine forests, while Teramo is set between the Apennies and the beaches of the Adriatic Sea. L'Aquila is the regional capital of Abruzzo and boasts an impressive 16th century castle. This vibrant city also boasts a number of other interesting attractions for visitors to explore such as the Fontana delle 99 Cannelle fountain with its 99 spouts, the Basilica di Santa Maria di Collemaggio and the church of S. Maria del Soccorso. 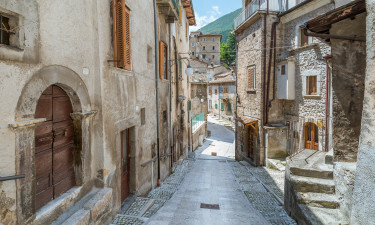 Abruzzo boasts a whole host of traditional peasant dishes for visitors to try and among the top picks are Spaghetti alla chitarra, Fagioli e cotiche di maiale, wild boar ham and Salame di fegato dolce, which is liver salami that is made with honey. The region also produces excellent red and white wine and no trip would be complete without sampling a glass or two.